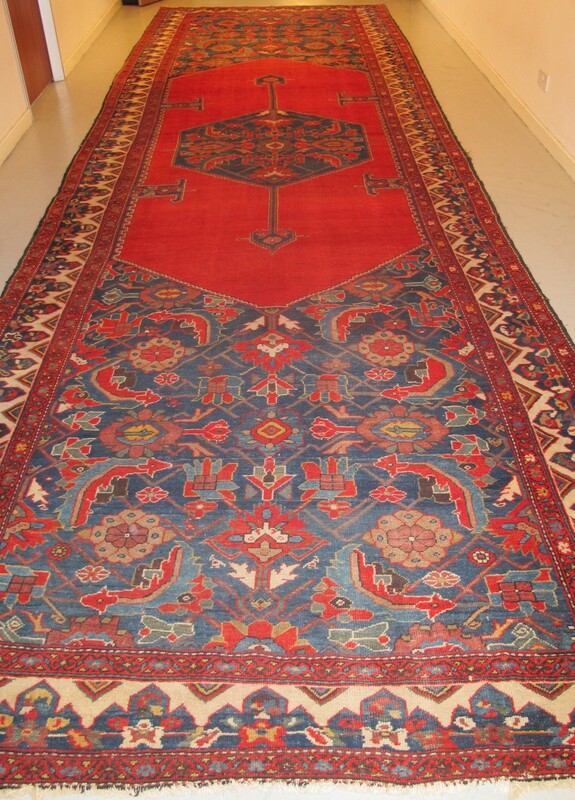 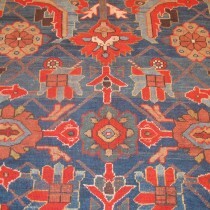 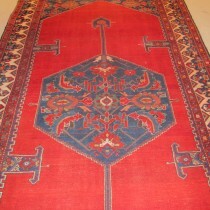 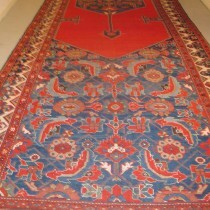 The size of this highly impressive carpet is very unusual, and was probably made to order. 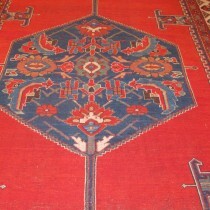 It has very attractive design elements, in particular the generously spaced repeating 'Herati' design in the end panels. 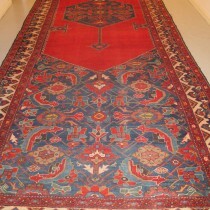 Note the attractive main border.If you need the size, this is a wonderful option!